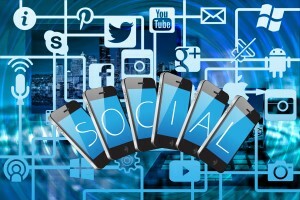 Social campaigns can provide a huge boost to your business in a number of different ways. But the idea can be a bit overwhelming if you’re just getting started. If you’re thinking of running your first social campaign, check out the list of tips below to make your first campaign as successful as possible. Begin by defining the purpose of your social media campaign. Which of the following purposes will you work toward? Even though social media campaigns are all about cross-promoting over different platforms, you shouldn’t overextend yourself. Choose 2 or 3 social media platforms based on what’s worked for you in the past. If you don’t have enough social media history to gauge what’s working for your brand, then perform competitive research to see which platforms work best for your competitors. For example, LinkedIn and Facebook have such different personalities and content requirements that you may not want to combine them in your first campaign. On the other hand, Facebook and Instagram work together seamlessly and share the same advertising platform, making them an attractive pair. Define your brand’s personality with a social media style and policies guide to keep your brand consistent across all social media channels. Consider aspects such as colours and logos, wording to describe your company, brand, and products, tonality of your brand (casual or formal, high-end or accessible), customer interaction (casual or formal? ), post formats etc. Be sure that your business pages align with your style and policy. For your social media marketing budget, you can start at as little as a R20 a day or scale your budget into the tens of thousands of rands. Facebook and Instagram are a great place to begin because once you choose an audience and budget, they give you an estimate of how well it matches your goals. If your advert performs well – find out WHY. Inversely, if it does not succeed as you had anticipated – find out why. Then fix it – whether it’s changing your wording, form, images or even your offer – tweak until it works! Planning your first social media campaign may be intimidating but knowing the proper steps to begin sets you up for success.